La parte posteriore della CX2 è caratterizzata dal piano inclinato pensato per facilitare la raccolta dei pezzi tagliati. 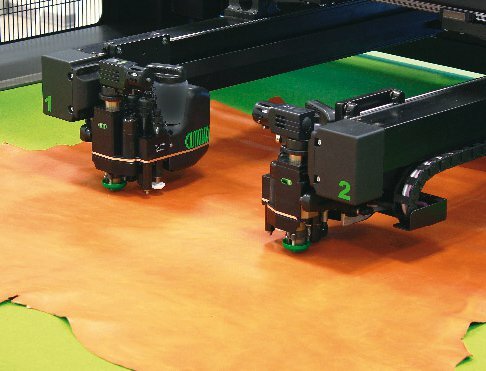 Cutmax CX2 is a CNC cutter for leather and synthetic materials in the field of footwear and leather goods. 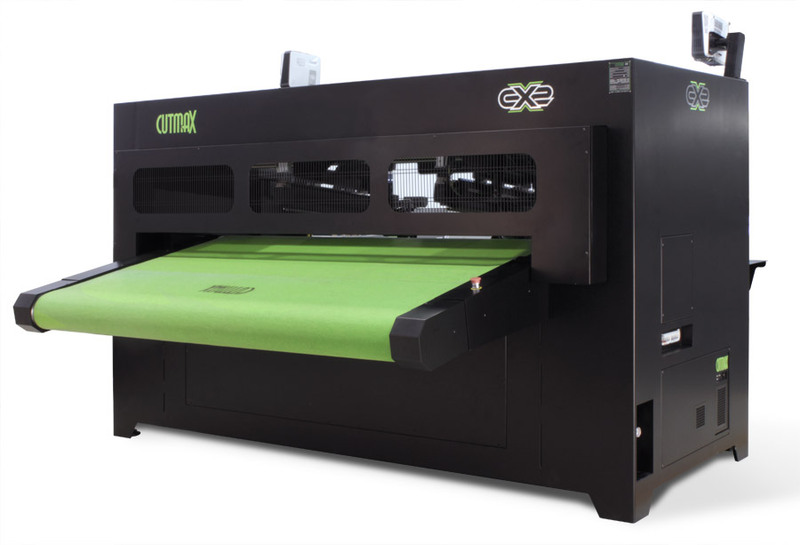 Its modern configuration is ideal for prototyping and for large and small production. It has two heads multitool with vibrating blade that cut independently with percisione and quality to 1m/sec and pierce more than 400 holes / min with a diameter of up to 6mm. Pen and marker complete the equipment of tools. 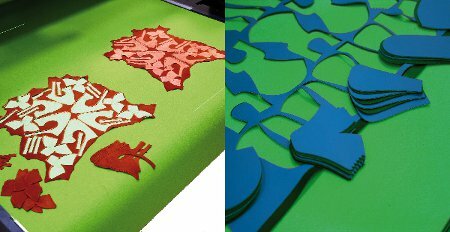 The skin is machined in a large area (2.0 m x 1.6 m) also suitable for skins of large. 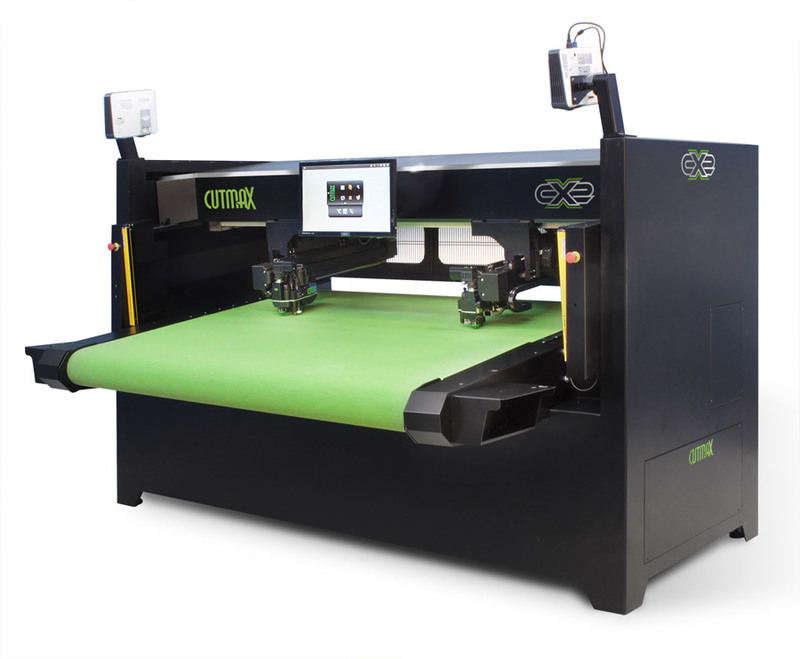 The work area is covered by a moving belt which extends beyond the rear, you can place, Cut and download the pieces at the same time. The entire area of ​​placement / cutting is equipped with a suction plate sectored. 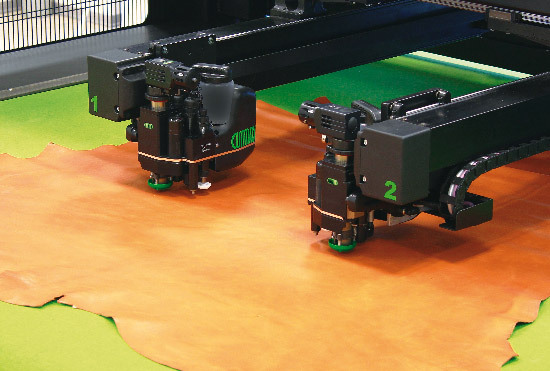 The precision of the cut, allows relizzare workings of any difficulty in quickly. The dynamic adjustment of the power of the pump and of the sectors with force blocking the skin. It easily cuts the edges chipless and saving skin is evident.